Already, those whove found themselves on the wrong side of the law had to face the implications and this included not just paying fines, but additionally having their drone footages, videos or shots pulled down from where they posted them. The Civil Aviation Agency in Croatia imposed the UAV ordinance in May 2015 with the intent of regulating drone activities in Croatia. Therefore, if you intend to film in this country, heres what you ought to know. Notifying the Authorities – Croatia is home to fascinating vacation spots so one might feel compelled to record theirs with the best drone. Even taking shots is recommended because at one point, looking at them will stir memories of that specific place and that frequently feels so good. Nevertheless, before you do either, you’ll have to notify the State Geodetic Administration at least 15 days in advance. You’ll also have to pay the required state fees. Failure to do so could see you fined up to 25, 000 kunas – Filming Details – Before you begin to film, there are a number of details you’ll have to give out. Including a map of your planned footage, planned flight length, focal length, and so forth. This is done every other time you would like to film footage with your drone. And after filming or taking photographs, they may have to be passed on to the authorities for approval. Well, this may explain why several drone footage of particular places in Croatia has since been pulled down from YouTube. Flying Zones – If you lack a special permission, it means you can only fly your drone in places categorized as Class I & II. These are areas which are uninhabited and without any buildings or with deserted ancillary commercial buildings. Nevertheless, you’re still going to require a certificate attesting to your qualification as a drone pilot. Flying Over Crowded Areas – To fly over areas full of dozens of individuals or human activity, the organizer may have to grant you a special permission. In addition, you’ll have to supply to the Civil Aviation Agency your name and state who’ll operate the drone. Details on your flight will need to be communicated as well and lastly, you’ll have to show your accident and liability coverage. 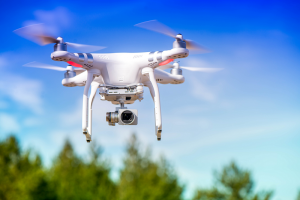 Controlling The Drone – While operating your drone, the law is clear that it should fly it a minimum distance of 150 m away from large rallies and 30 meters from animals, people, vehicles, roads, transmission lines, ships, along with other objects. In the same time, the drone shouldnt at any time go beyond 500 meters from where you’re operating it. Put differently, make sure the drone never goes out of your line of light. Other fundamental rules to note include: you’re only permitted to operate a drone throughout the day – The maximum flight altitude is bound by the 79 joules rule. For deviating flight manoeuvres, you may need authorization from the Civil Aviation Agency. Maintain a 3 kilometer distance from airport facilities – bear in mind that these are only a part of the rules governing Unmanned Aerial Vehicles.